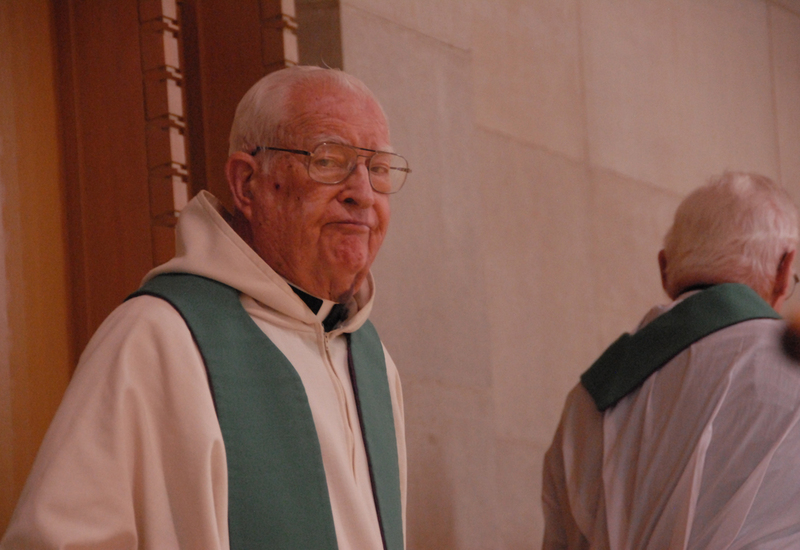 Father Kieran McInerney, O.S.B., 89, died peacefully on Saturday, March 12, 2016. The Abbey Community, having just ended its celebration of the Eucharist was around him when he died, as he was fortified by the Sacraments of the Church and received the Apostolic Pardon. James Peter McInerney was born on April 21, 1926, the son of Peter and Margaret (Wall) McInerney, in Kansas City, Mo. He attended elementary school at Our Lady of Good Counsel, Kansas City, Mo., and then attended Rockhurst High School, graduating in June 1943. He enrolled at St. Benedict’s College in 1944. After his sophomore year at St. Benedict’s College, he entered St. Benedict’s Abbey, receiving the religious name Kieran. He professed first vows as a monk a year later on September 21, 1947. He then completed his degree at St. Benedict’s College in 1949, majoring in English and Education. He pursued studies for the priesthood at the Abbey School of Theology, being ordained a Deacon on December 22, 1951. He was ordained to the priesthood by Archbishop Edward Hunkeler at what is now St. Benedict’s Parish Church on May 22, 1952. Following ordination he completed one more year of theology studies. In the summer of 1953, he was the Director of Camp St. Maur. Later that summer he began a three-year assignment as Assistant Pastor at Sts. Peter and Paul, Seneca, Kan.
From 1956 until 1962 he served with the Benedictine Sisters at Lillis High School, Kansas City, Mo., where he was Chaplain, Athletic Director, and teacher. During these years he completed a Masters in Educational Administration at the University of Missouri at Kansas City in 1960. 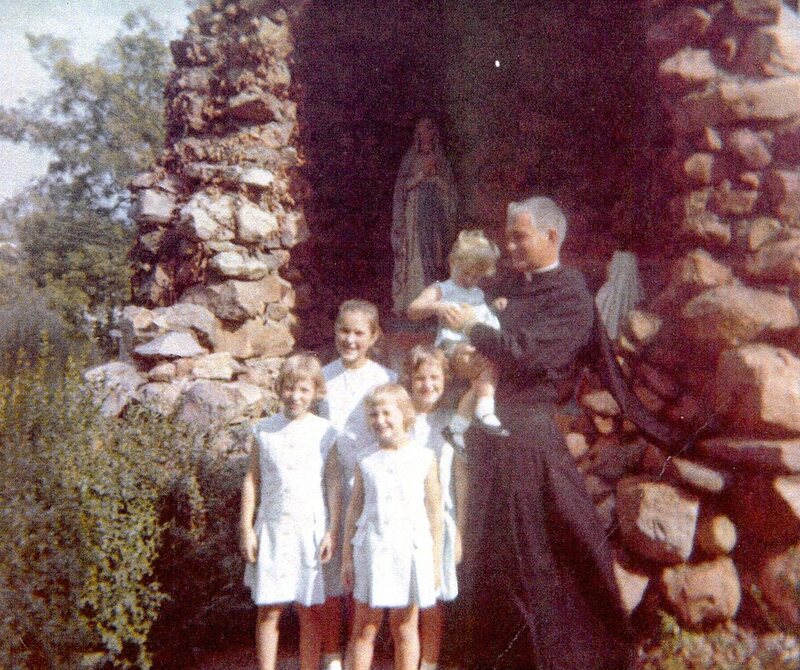 He later worked with the Benedictine Sisters in Atchison from 1962-1963, serving as Chaplain and Instructor at Mount St. Scholastica College. From 1963 until 1969 he was Assistant Principal at Maur Hill Prep School in Atchison. These were growing years for the school. Since the Principal, Father Edwin Watson, O.S.B., was often on the road to raise funds, Father Kieran ran the day-to-day operations at the school. In his last year at Maur Hill he also got involved with the Atchison Community Center and did much to work with the underprivileged of Atchison. 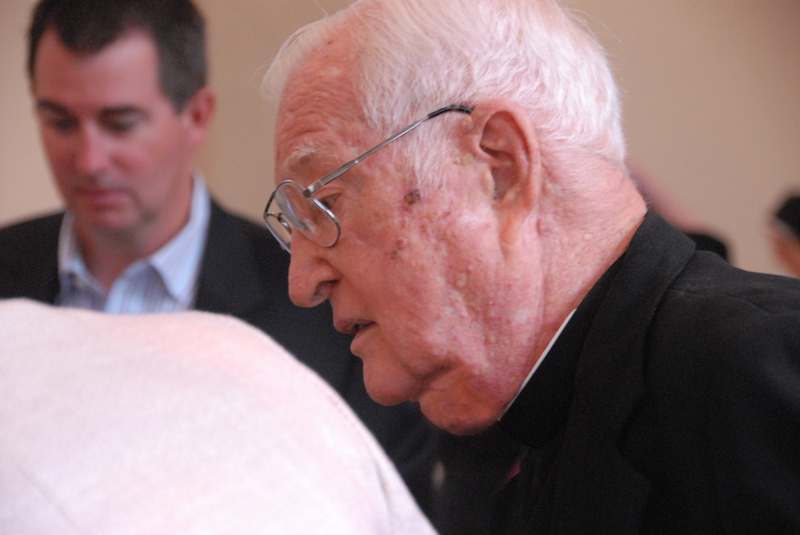 From 1969-1971 Father Kieran was the Chaplain of St. Benedict’s College. Already he was working with Mount St. Scholastica College and collaborating in ministry. 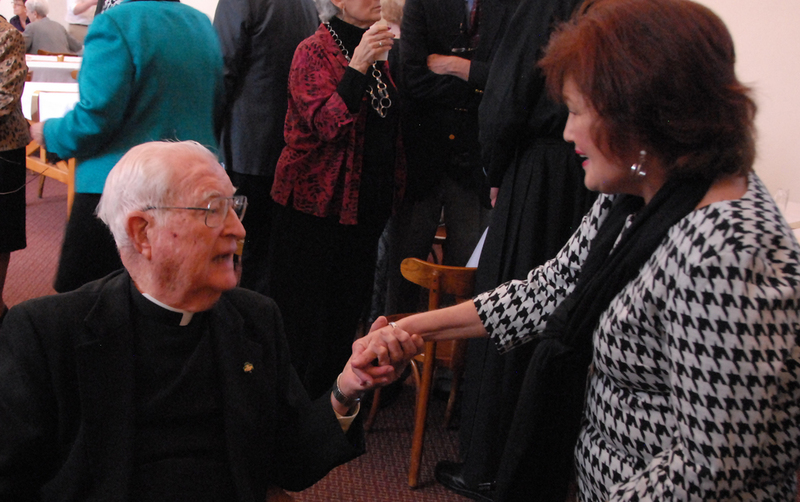 He served as the first Chaplain of the newly formed Benedictine College from 1971-1972, again continuing a tradition of involving students, faculty, sisters and monks in the faith life of the campus. During the last years of his service as college Chaplain he also began his work as the founding Administrator of Happy Hearts Pre-School. Abbot Thomas Hartman, O.S.B., had asked Father Kieran and other monks to address the educational needs of the underprivileged in Atchison. In cooperation with the Sisters of Mount St. Scholastica Monastery and the people of Atchison, Happy Hearts was started to meet the needs of low-income families for quality pre-school and other educational services. He served as Administrator from 1970-1975. During this time Father Kieran met Blessed Teresa of Calcutta. He was deeply moved by her commitment to the poorest of the poor. Mother Teresa invited Father Kieran to come to India and help with her work among the poor there. When he was not able to obtain a Visa to India, he requested to work with the St. Benedict’s Abbey monks serving in Brazil. From 1975 until 1978 he worked at St. Joseph’s Priory in Mineiros. From 1979 until 1989 he assisted Bishop Matthias Schmidt, O.S.B., in the Diocese of Ruy Barbosa, Brazil, especially in carrying out programs of health, education, and civil rights education together with an international team of volunteers. In 1989 he returned to Mineiros as the Prior. Subsequently he became business manager of the Priory and guided the construction of the priory’s beautiful church. During this time he developed an extensive ministry to the sick in the hospitals of the city. Together with Sister Mary Mel L’Ecuyer, O.S.B., he founded the flourishing lay Benedictine Oblate group there. 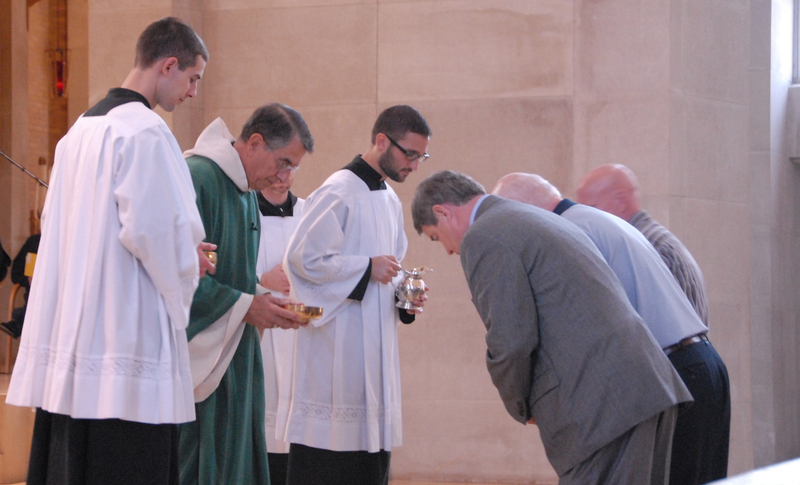 In 2010, after 35 years of service in Brazil, Father Kieran returned to the Abbey. In spite of failing health and blindness, he remained positive. He was faithful in attending Mass and prayer with the monks, and often had an encouraging word. He enjoyed keeping up with friends over the years and of hearing news from the house in Brazil. His patience in the midst of suffering provided a wonderful example during this Jubilee Year of Mercy. Father Kieran was preceded in death by his parents and his five siblings. He is survived by the monks of the Abbey, his nieces and nephews and many friends. Vespers for the Dead, followed by visitation, will be prayed Wednesday, March 16, at 7:00 p.m. in St. Benedict's Abbey Church. The Mass of Christian Burial for Father Kieran will be celebrated in St. Benedict’s Abbey Church on Thursday, March 17, at 10:30 a.m., with interment following in the Abbey cemetery. Memorials in honor of Father Kieran made here may be sent to St. Benedict’s Abbey, 1020 N. Second St., Atchison, KS 66002. We commend our brother, Father Kieran, to your prayers.